No one expected pop art; that was its originality. “Pop Departures” (recently at Seattle Art Museum) triggered other responses, memories and reflections as well as those of the eyewitness collectors. One eyewitness critic and curator, Peter Selz, now 95, shared his views on the continuing power of pop art in an exclusive telephone interview from his home in the Berkeley hills. 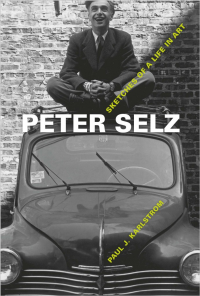 Subject of a recent biography, “Peter Selz: Sketches of a Life in Art,” (Paul J. Karlstrom, U. of Calif. Press, $38.95) and his daughter Gabrielle Selz’s memoir, “Unstill Life,” (Norton, $26.95), Selz chuckled as he recalled early New York responses to pop art and updated his own thoughts on the pervasive art movement. Agreeing with the Germans (where he was born), Selz said capitalist realism was a “better term than pop art, more descriptive.” Pop art was not only rejecting Abstract Expressionism, it also dismissed Selz’s curatorial pet, expressionistic figuration, advocated in his epoch-making “Images of Man” show at the Museum of Modern Art. Asked to rank the affiliate artists now, half a century later, Selz cheerfully obliged: “Lichtenstein was very apt at what he did, all those dots, but so what? There’s no spirit. Not only was he rejecting postwar humanism, but he replaced it with nothing. With that, Selz returned to his latest project, another show, another book, another interview. The unstoppable Peter Selz has lived to see it all, including pop art, and its rise and fall. 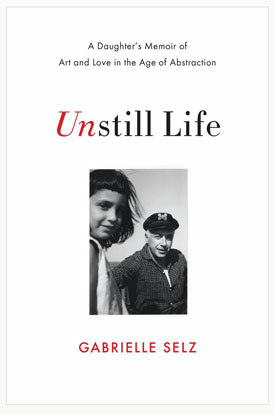 and “Unstill Life: A Daughter’s Memoir of Art and Love in the Age of Abstraction” by his daughter, Gabrielle Selz. This entry was posted in Peter Selz on 01/26/2015 by Jeanie Craig.